Grooming is important for young girls. So I am starting to teach Dindin how to comb her hair and also to use a hair brush when needed. 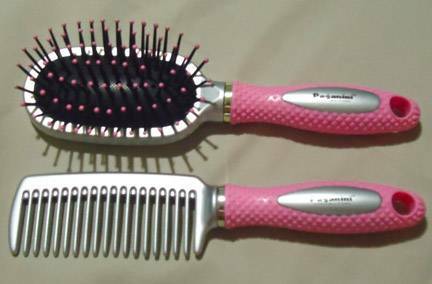 Pink Paganini brush and comb. I bought this for Dindin as part of teaching her about grooming. Last week, I bought Dindin her own set of pink Paganini hair brush and comb pair from SM Department Store. It made her really happy that she has her own comb and brush set to use instead of just using my own comb. It also made her happy that they were pink. 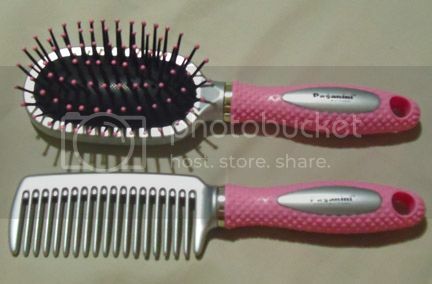 You see, she outgrew her baby brush and comb already and I never got to buy her a new set. So I just let her use mine. That is why she was happy to have her own. 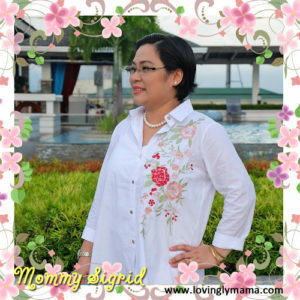 I taught Dindin these simple and basic hair care lessons in a way that she can understand. I think a lot of girls can also learn from these. Use a comb when your hair is wet. Use a brush when it is already dry, as it will easily glide through the dry hair. When you wake up and your hair is all tangled, use a comb to untangle. Before going to sleep, use a brush to comb the hair and massage the scalp. It will release the natural oils from the scalp to keep the hair healthy. These are just basic things but are part of good grooming and in order for one to have healthy hair. Dindin is quite excited to do these by herself already. Of course, I still comb after her at times, but at least, she knows the basics already.